Watchman Differential Pressure Monitor by Omnitec Design Inc. 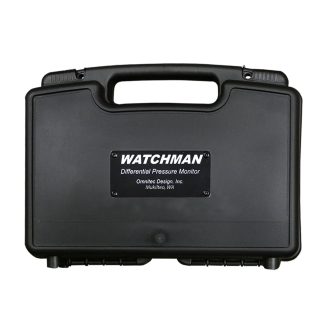 The Watchman DP Monitor is designed for monitoring differential pressure in work areas on abatement and restoration projects. It is simple to setup outside the containment with a tubing connection from pressure monitor to the contained work area. With containment air pressure monitoring using The Watchman DP monitor, work space integrity can be closely observed preventing hazardous leaks from containment areas. Each pressure monitor is fully contained in a molded plastic carrying case for convenient transport from site to site. Weighing under 3 lbs. this pressure monitor can be set up in minutes requiring only a standard 115V power source. 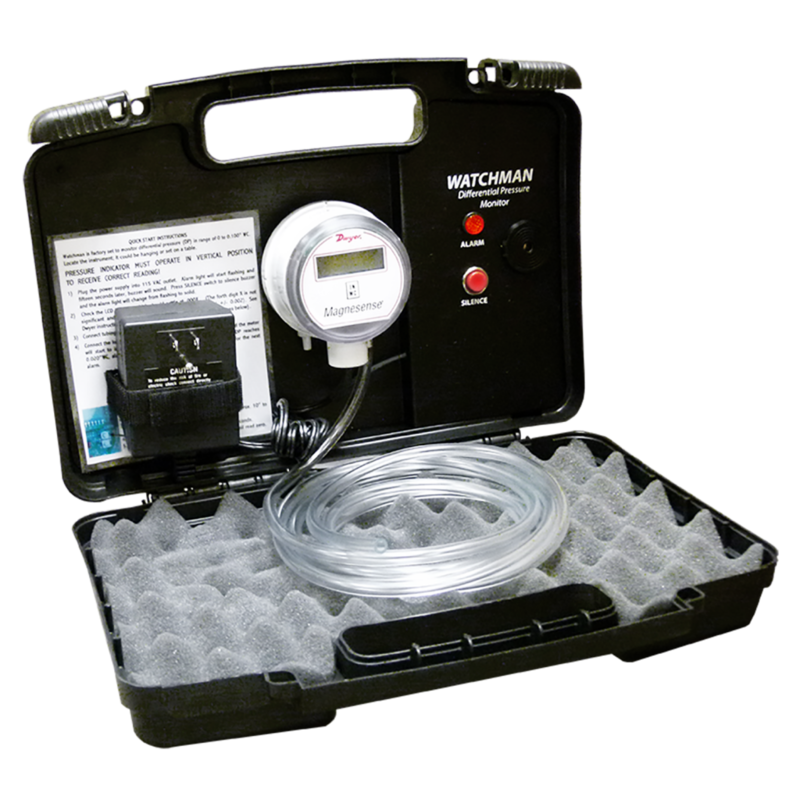 The Watchman differential pressure monitor provides an accurate measurement of the air pressure difference between a containment and surrounding area. Visual and audible alarms are triggered when the pressure drops below the pre-set limit. Using the Watchman, the work space integrity can be closely observed, preventing hazardous leaks from containment areas. Protective plastic case contains the complete instrument unit, power supply, and the PVC connection tubing. The Watchman provides visual and audible alarms when the differential pressure is less than the preset limit. The SILENCE button will turn off the audible alarm and the red alarm light will change from a flashing to a solid light. Red light will remain on until the differential pressure returns to the normal range which will reset the alarm system.